is an opportune way to significantly grow wealth and secure one’s financial future in the long run. In Australia, it is a common investment practice to purchase properties for leasing in order to gain passive income. No matter what the strategy, smart property investments can become profitable ventures and help realize one’s financial goals. Making investments, especially in real estate, may appear daunting to the average Aussie, as it involves a relatively large capital; but it is not as perplexing as it seems. Regardless of your background and financial status, you can substantially profit from these investments as long as you make well-informed decisions. Upon careful investigation, rewarding investment opportunities are hidden in unconventional real estate sales (e.g., deceased home sales, mortgagee sales, fire-damaged property sales, and distressed estate sales) that are usually priced under the market value. However, these properties may not be as easy to find and can require quite a lot of time and effort. For instance, probate properties can be found by going through the obituaries in local newspapers and public records, while repossessed properties are not openly advertised by financial institutions or the mortgagees. 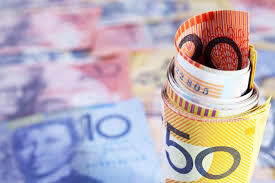 To maximize your efforts and minimize your expenses, you should start your search with Select Property Invest (SPI) at https://selectpropertyinvest.com.au. You will see a list of curated properties with great investment potential. With over a thousand properties listed, you no longer have to sift through numerous websites and resources just to end up with irrelevant properties; instead, you will get specialist investment properties suited to your interests. The extensive selection of SPI is sourced from a variety of means and includes deceased estates, mortgagee repossessions, incomplete and fire-damaged properties, raw land and sites with development potential, and blocks of units in the residential, commercial, and industrial sectors in Australia. The types of properties listed on the website include houses, villas, apartments, units, townhouses, terraces, factories, offices, development sites, and vacant lands. SPI prides itself in maintaining a team that updates the property listings on the website on a daily basis to make sure that you never miss that once-in-a-lifetime chance to acquire the property you have been eyeing at the best price, as well as guarantee that you never waste time pursuing a property that has already been sold. Websites that are frequently updated, such as SPI, are crucial to prospective investors who need to do their homework before the auctions of mortgagee or distressed sales. You can conduct a detailed search of the property listing by identifying the state, region, property category (i.e., block of units, deceased estate, development sites, and mortgagee sales), and zone type (i.e., commercial, industrial, land, residential, and rural). When you select a property, important details, such as a description of the property, location, number of bedrooms, bathrooms, and car parking spaces, and day of auction are shown. SPI also supplies the complete contact details of the real estate agent so you can get more information and schedule a viewing of the property. SPI also has a section on the website with various resources on property investment, recognizing the fact that not everyone is experienced in purchasing and developing real estate. Apart from subscribing to the free monthly newsletter with the latest market trends, users can also get tips that are useful for beginners but can also serve as reminders to experts. It presents a comprehensive guide on making the right decisions when it comes to property investment, considering personal requirements, financial capacity, and management skills. One of the most important features of the website is a customized email alert system for members who have identified the specific characteristics of properties they want to invest in; they receive computer-generated messages from the website as soon as new listings that match those characteristics are posted. Alternatively, you can also list your properties on the website for other investors to view as an agent at no cost. It is fairly easy to manoeuvre around the website and go through the listed properties, but they have set aside a section on the website for frequently asked questions to assist investors regarding concerns on the properties and the website itself. For other questions and clarifications, SPI has provided an online feedback form. Overall, the website is generally user-friendly, especially with the casual language used that is less intimidating and very enticing for average investors. However, compared to other websites, users (whether investor or agent) need to pay a monthly membership fee of 7 AUD in order to access all the details and services on the website. Nonetheless, this small premium helps maintain the quality of the website content and limits the information to serious property investors. For a very small price, SPI can help you jumpstart your wealth-building by presenting you a collection of hand-picked properties with relevant information that can definitely help you in conducting due diligence for your potential investments.